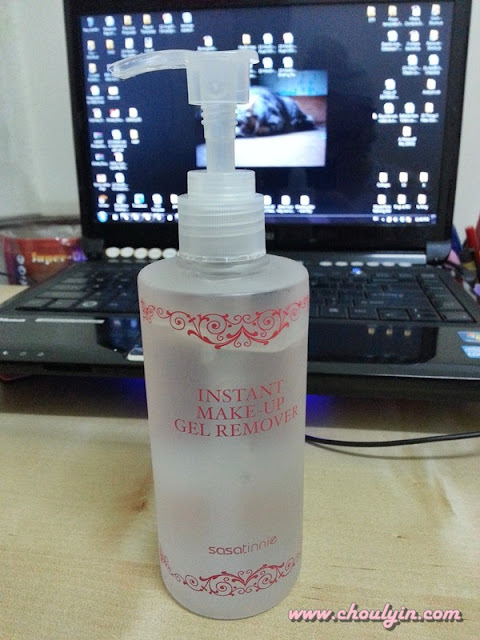 So, my make up remover was finishing so I decided to venture out and get myself another one to replace it. I wanted to use something different this time around, so I went to SaSa to see if there was anything that interested me. The saleslady introduced me to this brand, and told me it was a new product. Also, it's a gel cleanser, so it's definitely oil-free. As this was something different, I decided to try it out. Furthermore, it was on sale, so thought no harm in buying it. I didn't want to get something oil-based as I heard that it would cause milia seeds, so I decided to get a non-oil based remover this time around. Specific water-solubility oil-free make up gel remover, which can remove make-up including eye make-up thoroughly by small amount. Enriched with amino acid, it moisturises and balances your skin mildly while cleansing. Chamomile extract which perfectly calms and restores balanced skin, effectively prevents skin from dryness after cleansing. Pump appropriate amount of gel and gently massage into the face with light circular motions. Rinse with lukewarm water. When pumped out, it feels like hair gel, a little watery but solid at the same time. After using it and washing with lukewarm water, I could still see my make up on my face. In other words, it only succeeded in removing very little of my make up. At first, I thought I did it the wrong way, so the next time I tried it by wetting my face first and then only applying the gel remover. Once again, failed attempt at removing make up. The first two times I used this, the make up I used was my standard office make up, which means super minimal make up of eyeliner, eyebrow liner, and mascara. Seeing as how this doesn't even remove my standard minimal make up, I fail to see how it would work for waterproof make up. So if you're out of make up remover and is on the lookout for a different brand of make up remover, I do not recommend this brand. Just saying. 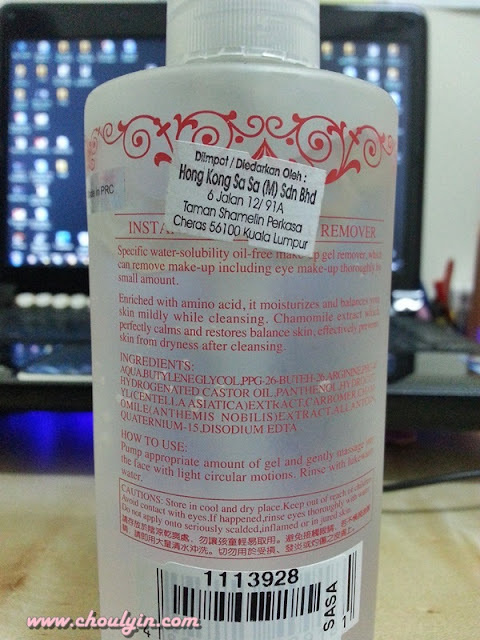 If you're looking for eye make up remover, use L'oreal. As for the rest of the face, there's this cleansing water I recently discovered called Bifesta by far only can be found in Watsons. Works pretty well... just wipe your face twice, first to remove make up, second to double cleanse the face, and after that you don't have wash your face. Just put moisturizer straight. My makeup remover ran out (was using crazy expensive SKII cleansing oil) and upon recommendation I got Biore cleansing oil and found it to be super effective. Cleansing oil is fine to use as long as you get it properly emulsified and wash with normal foaming cleanser afterwards. I think it's even better than the SKII one and it's only RM20. Really? Maybe I should try it out :) Thanks babe! Yea, I do have the Biore Cleansing Oil, and I usually use that for my waterproof make up. 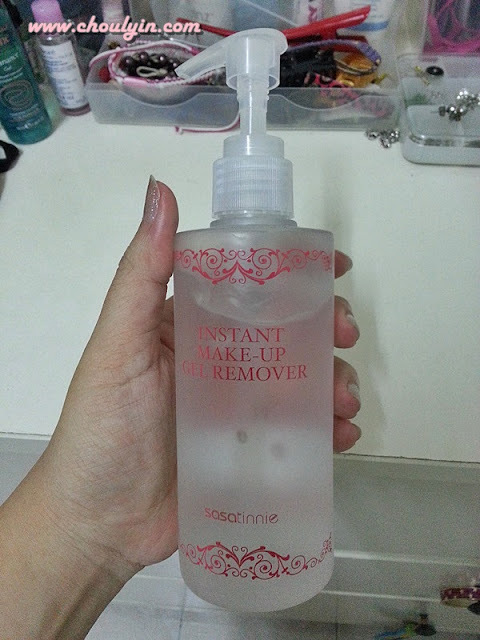 I love that when I have to remove my heavy make up and falsies :D Thanks dear! Neutrogena? I've only tried the cleanser, didn't know they have make up remover. Will look into that :D thanks! !